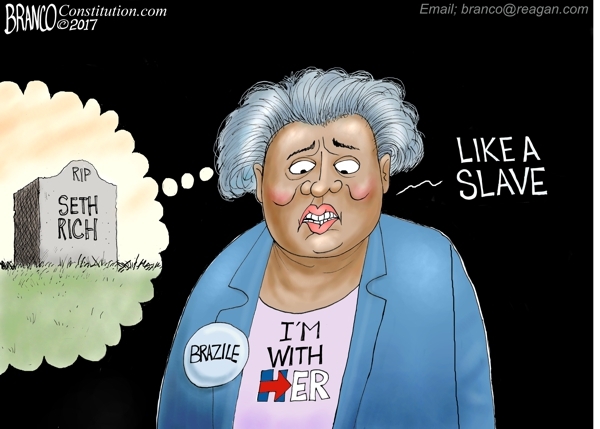 donna brazil | What Did You Say? Donna says she feared for her life after the death of Seth Rich, understandable working with the Clintons. There is likely little hope left for the desperate democrats as their internally raging civil war continues spilling over into the mainstream. The disastrous results of the 2016 election have sent the democrats into a tailspin the likes of which we have never seen in modern politics. Hillary Clinton, the chosen one by all accounts on the left, was roundly rejected by the American people back in November, as her conniving collusion and corruption were revealed to the world via Wikileaks and a cache of campaign emails. Even after cheating, both in the primaries and the debates, Clinton was no match for an American populace ready for real hope and change. Immediately after the election the finger pointing began. Clinton was determined to win the blame game, even going so far as to write an entire book full of excuses for her electoral annihilation entitled, hilariously, What Happened. Now, nearly a year later the democrats are still in shambles, with Interim DNC Chair Donna Brazile getting in on the action as the entire party continues to disintegrate. “Interim Democratic National Committee (DNC) chair Donna Brazile placed blame for the party’s financial woes squarely on former President Barack Obama and Florida Rep. Debbie Wasserman Schultz in a Thursday column, excoriating the pair for handing over complete control of the party to the Clinton campaign almost a year before she secured the nomination. “Soon after taking over as interim chair, Brazile set out to determine whether the DNC had improperly assisted former Secretary of State Hillary Clinton in securing the party’s nomination, as leaked internal emails suggested. “She quickly determined that the DNC was in serious financial peril and the former chair, Wasserman Schultz, had relinquished control of the party to the Clinton campaign in exchange for a monthly allowance that would cover the operation’s day to day costs. Brazile herself has yet to recognize her own blame for the embarrassing loss after Wikileaks revealed that she had acted as a middle man between CNN and Clinton, passing on probable debate questions to the candidate ahead of her confrontations with soon-to-be President Donald Trump. As the democrats fester and continue to to implode, confessions such as Brazile’s will likely become all the more common. With the midterm elections just a year away, and a massive regrouping effort underway at DNC headquarters, we should expect more disarray in coming months.